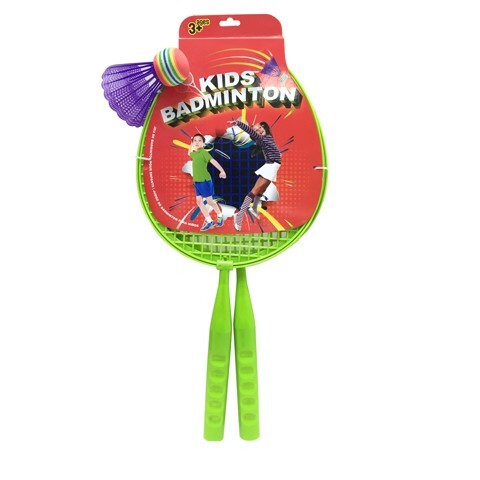 Badminton Kids Set 3Pc. Racquet 43cm (L) x 20cm (W) | Shuttlecock 8cm. Green. Plastic | EVA. 202G Packaging: Header Card.